There is no doubt that a passionate employee can bring a lot to the table. Those who are passionate for their work stand a much better chance of being given key assignments, opportunities for advancement, a chance to become part of a winning team and drive the business forward. I believe that any employer can create an environment to develop and cultivate passion in the workplace. This summer I wrote an article for Personal Excellence Magazine on ten strategies to create a passionate employee. Here are the ten strategies you can use to find and cultivate passionate behavior in the workplace. Growth opportunities, we all need challenges to keep sharp - find challenges that will not break the back but instead build the spirit. Hire passionate people, this might sound obvious but hiring people who are already passionate can develop a passion for other activities. Build friendships and community feeling at work - friends stay together, friends look out for one another, friends have a better chance of working well together than enemies. Praise publicly and often for a job well done and celebrate success. Communicate Often give feedback on a regular basis, communicate the goals and vision for the company, if employees know the goals they might get a good idea of an activity they want to foster. Accountable and Responsible employees will embody the passionate characteristics and help drive the business goals and objectives. To read the complete article you can go to Personal Excellence Magazine on page 26. Actually I landed here in such an odd way but I am so very glad I did! The things you not only teach the world but live are what I am seeking guidance in for my homeschooling/raising situations that are growing in my timid son. I cannot begin to live my life until he learns the world is there for the taking. Not to run from. That article you wrote is proof that there are people that understand. Like me that see joy, positivity and beauty in every moment! I want to thank you for every single word you wrote. It has been 10 years. I had given up on the world. I just truly accepted I was alone in my obsessive positivity and outlooks. Somehow I make sense out of tragedy , I seek knowledge as if it were oxygen. To improve myself everyday is my goal always. No one around me is that way. I must make me proud. I must show my son somehow what I see. I just cannot figure that out! He is not like me he sees the bad that happens to me at face value, I see it as a gift of growth and a lesson from God. I can bring up the most mournful of them all but they don't see the complete picture in such a way that connects every element of life the way you explained it. Thanks for the kinds words, you have absolutely made my day. When I wake up I do make a conscious choice to be positive - but like you I run into more negative than positive. My personal believe is that we do need to learn from the negative but remain positive, and then become beacons of light for others - I think that many are negative because they are in bad habits, others have a hard time managing stress, and some are so busy trying to do everything for everyone that they don't get their own needs met - in any event they react negatively. 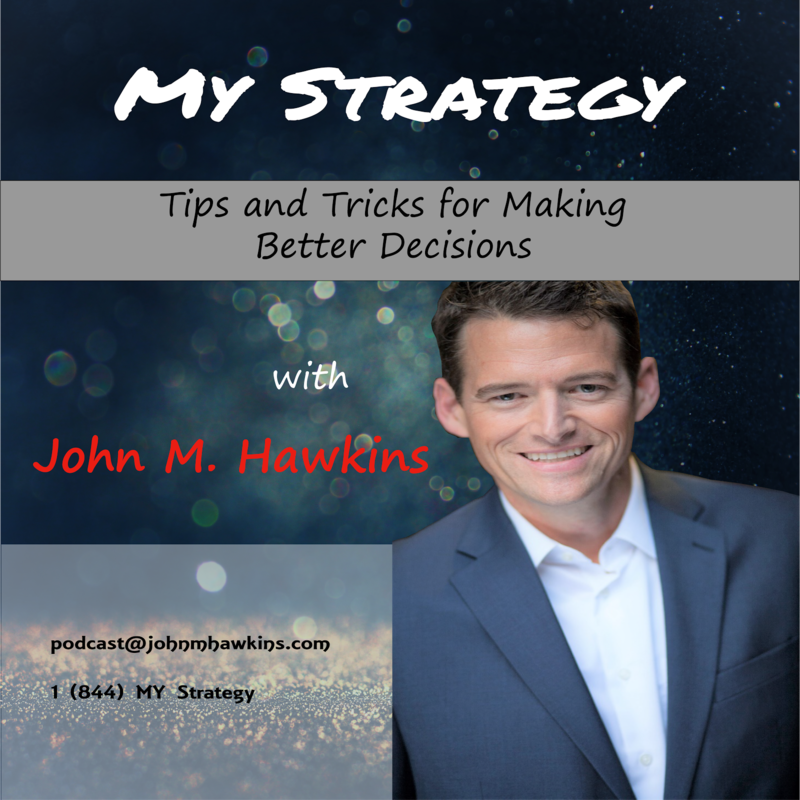 If you send send an email to johnm_hawkins@yahoo.com, with an physical mailing address I will send your son an autographed copy of one of my books 'Building a Strategy Plan for Your Life and Business' - the book is designed to help folks who are looking for a path forward.